In this episode we talk about the power of Jesus' death, and what it means for us today. What is The Gospel? This is an important question. Contrary to popular belief, my conviction is that the Gospel is not a list of statements. The Gospel is a person and knowing him is the point. In this episode, we discuss the corporate implication of the Gospel. We discuss the power of what the Gospel and how it must necessarily lead us beyond the confines of our own preference and selfishness into the fullness of what it means to be human. In this episode, we explore the powerful truth that the reality of God is not only a future hope but also a present reality. If we will lift our heads to see it, we will discover a miracle that has always been hiding in plain sight. 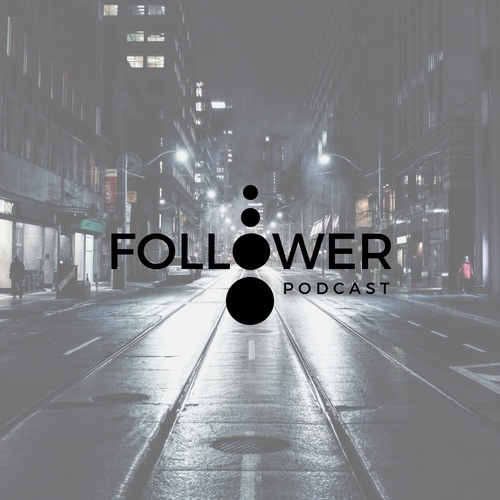 This is the first episode in a #followerpodcast series called "A DEATH IN THE FAMILY AND OTHER GOOD NEWS." In this episode called "Goodness is Godness", we explore the need for us to embrace the Godness of Jesus if we want to experience the goodness of the Gospel. This pushes against so much of our reltivistic culture, but it remains and essential choice for each of us none the less. In this episode I speak with Rob Dasilva. Rob is a "market place missionary" with Kryolan KZN in Durban, South Africa. He believes that as followers of Jesus we should "just get busy with the mission of God" wherever we are. He shares his journey of faith, his personal struggles and what he thinks it means to follow Jesus in the world today. In this episode I speak with Kashif Masih. We discuss what it what like growing up in Pakistan, his time in the labour camps of the UAE and how God is using him in powerful ways to impact many lives all over the gulf region. In this episode I speak to Arielle Katombela. I find out about where she came from, where she is going and what she feels it means to follow Jesus in the world today. Subscribe, listen and share with your world to invite as many people into the conversation as possible. Episode 5- The Making of Johan Mostert. In this episode of "the making of..." we meet Johan Mostert. We discuss his life, his lessons and what he thinks it means to follow Jesus in the world today.